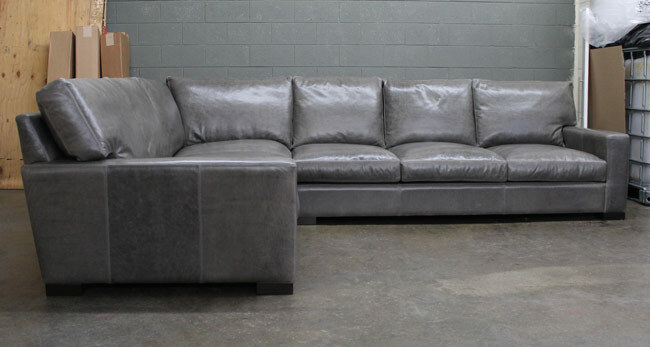 This Langston Leather L Sectional is right at home in San Antonio, Texas. 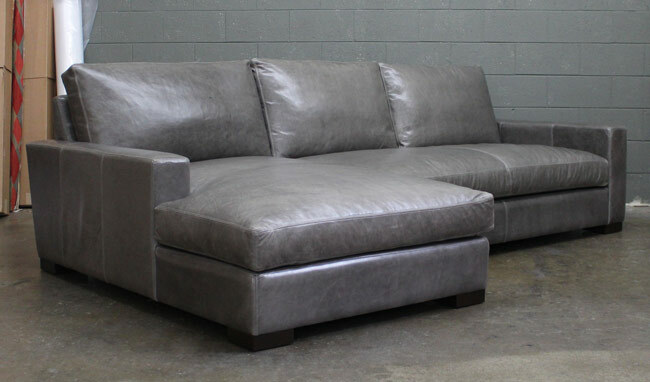 What better place for a leather sectional with so much rugged natural beauty and character. 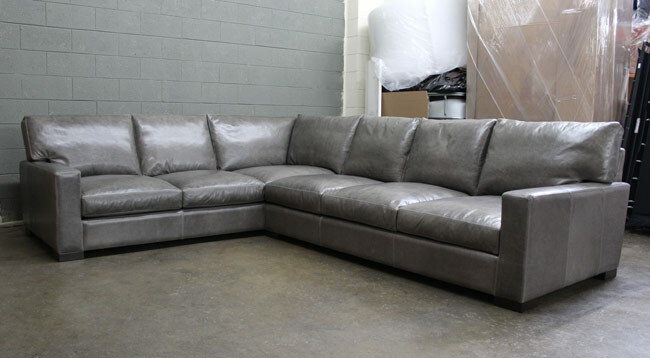 This Langston Leather Sectional was tailored in Italian Brompton Walnut leather. 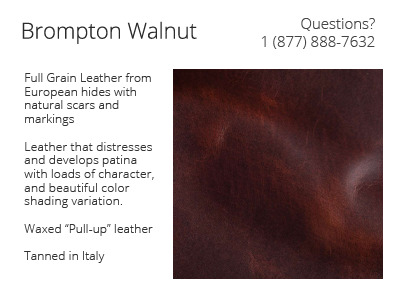 This leather has all of the beautiful natural markings, scars and color variation of Brompton Cocoa, but with a rich wine-colored hue. And just like Brompton Cocoa, this leather will lighten and distress with use. It just gets better once you’ve had a chance to break it in! 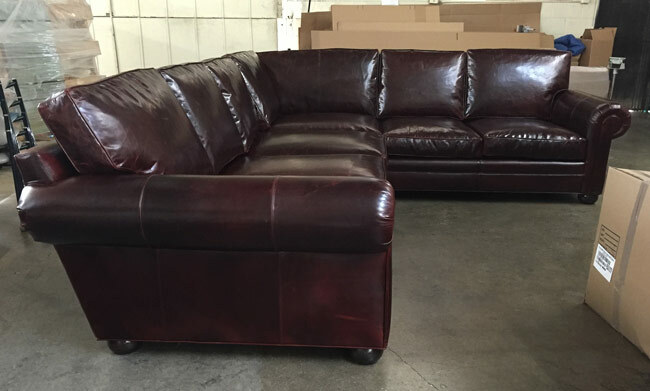 This entry was posted in Custom Leather Order Feed, Langston and tagged 48" Deep, Brompton, Brompton Walnut, Langston, langston collection, Langston L Sectional, Langston Leather Sectional on January 21, 2016 by LeatherGroups. This one is headed off for someplace we’d like to be right now, the Cayman Islands! 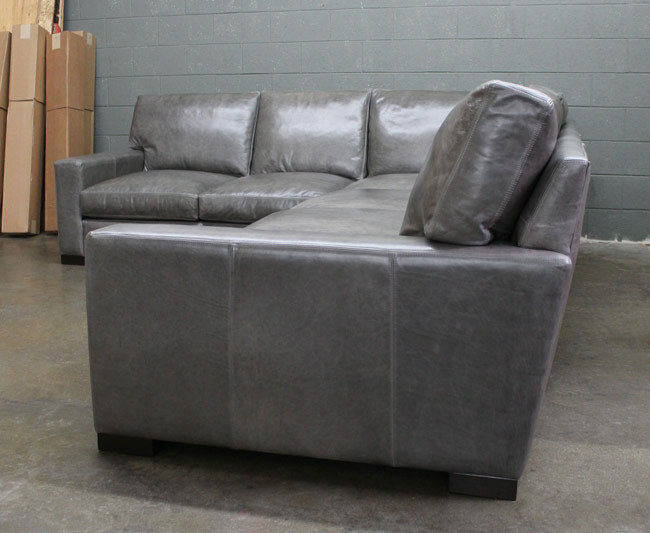 This customer ordered a Left Arm Facing Braxton Sofa Chaise Sectional in our Glove Timberwolf leather (Mont Blanc Timberwolf). We call this leather the “Grey Brompton” because it is just that. Made in the same Italian tannery, with the same hides and process used to create the ever popular Italian Brompton Cocoa leather, this leather is an amazing combination of all the natural beauty associated with Brompton (natural scars, markings, color variation) but with the contemporary “edge” of a beautiful grey color with variation on each hide that ranges from ebony to steel grey. 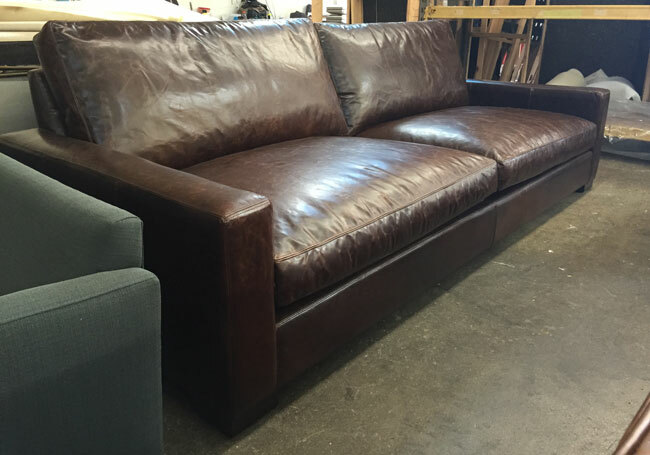 This American made Leather Sectional Sofa is ready to break in, tailored in this full grain, aniline dyed leather, supported by a kiln-dried solid hardwood frame and topped with Feather & Down cushioning. 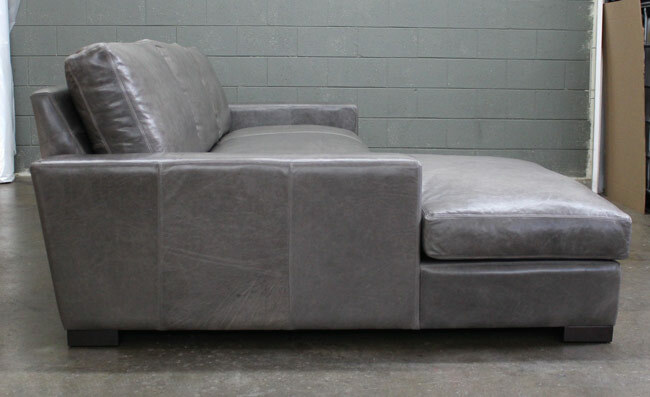 Offered in standard sizing with two depths, but we can also you customize the dimensions to suit your needs! 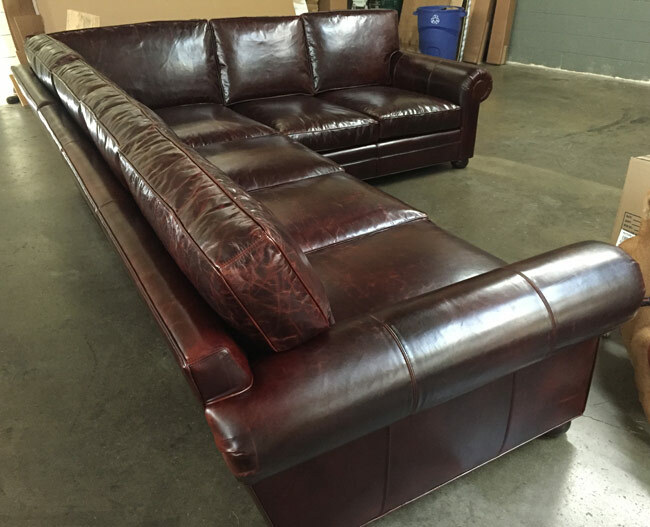 This entry was posted in Braxton, Custom Leather Order Feed and tagged 46" Deep, Bench Cushion, braxton collection, braxton sectional, braxton sofa chaise sectional, Glove, Glove Timberwolf, Mont Blanc Timberwolf on January 19, 2016 by LeatherGroups. 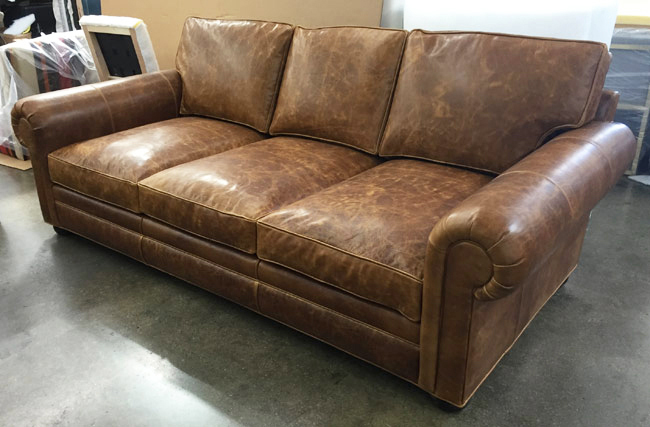 This entry was posted in Braxton, LeatherGroups.com Reviews & Testimonials and tagged customer reviews, Customer Testimonial, Customer Testimonials, LeatherGroups Reviews, LeatherGroups.com Reviews, product reviews, reviews, testimonial, testimonials on January 17, 2016 by LeatherGroups. 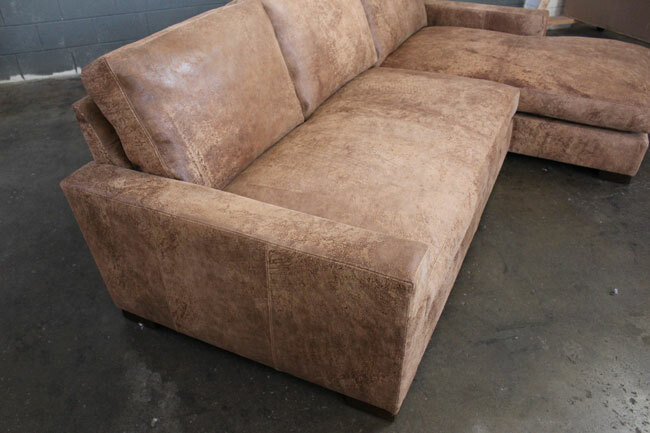 This one is right at home in Southern Utah, and our Brentwood Tan Full Grain Italian Leather shares some of the rugged beauty and beautiful colors of the geology in that part of the country. 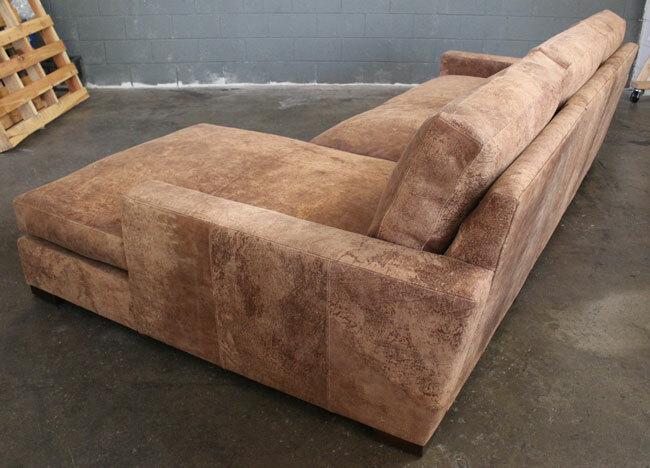 This customer selected our 48″ deep version, with a length of 96″ and is sure to be sinking into the down cushioning while taking in those beautiful views in Utah. Brentwood Tan is a thick, natural Full Grain leather, which means these hides were some of the 5% that are good enough to not go on to be finished without being corrected or overly processed like cheaper corrected Top Grain leathers. 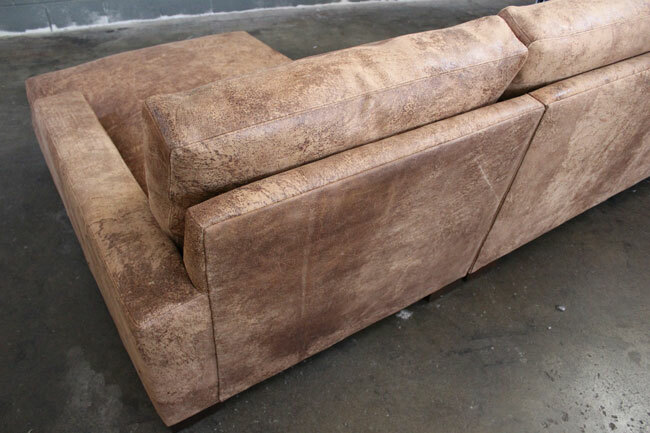 Natural scars and markings are celebrated as part of the natural beauty and Brentwood is Full Aniline leather that will distress and develop a character of its’ own over time. 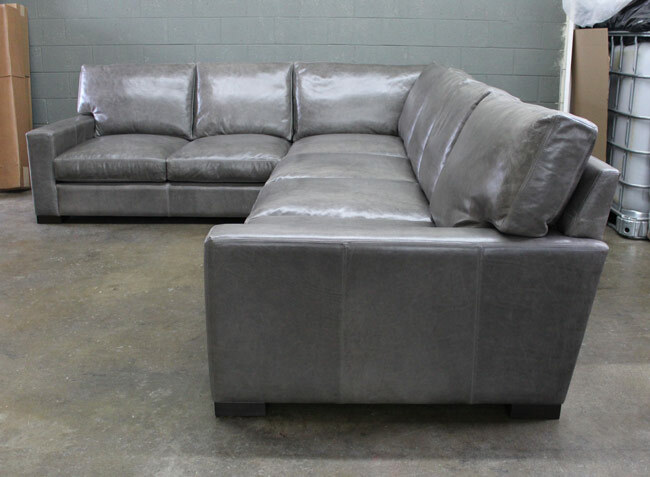 This Italian leather matched up with our American made quality is as good as it gets! 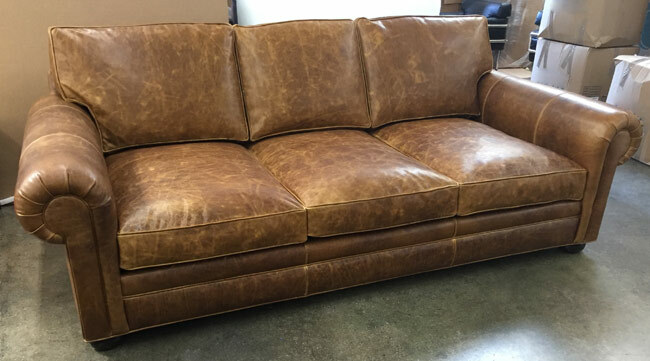 This entry was posted in Custom Leather Order Feed, Langston and tagged 48" Deep, Brentwood Tan, lancaster, lancaster leather collection, lancaster leather sofa, Langston, langston collection, langston leather sofa, restoration hardware on January 11, 2016 by LeatherGroups. This beautiful Braxton is at home in a cabin located in Ontario Canada. 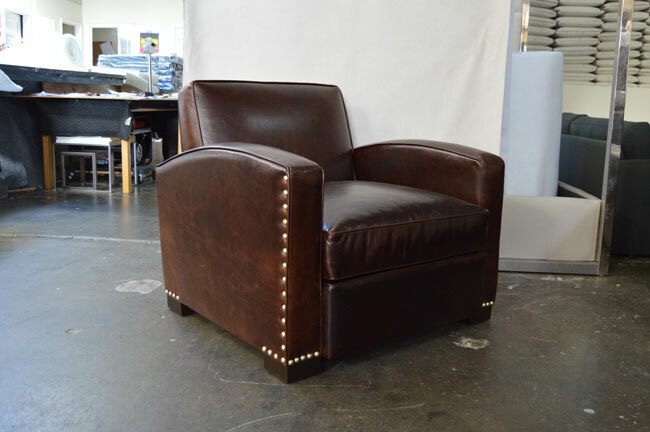 We upholstered this one in Italian Destroyed Leather (Ragtime Leather) and we know the new owners love it just as much as we do! 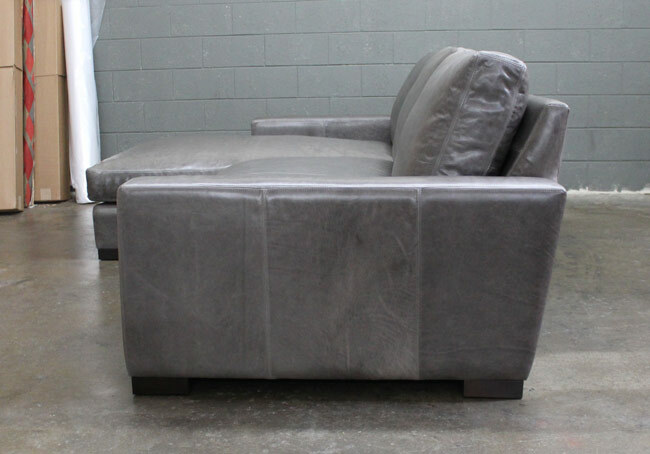 Made in Northern Italy from belting leather typically reserved for the top design houses of Europe, these hides give a true aged aesthetic, and are sometimes referred to as Italian Destroyed Leather. 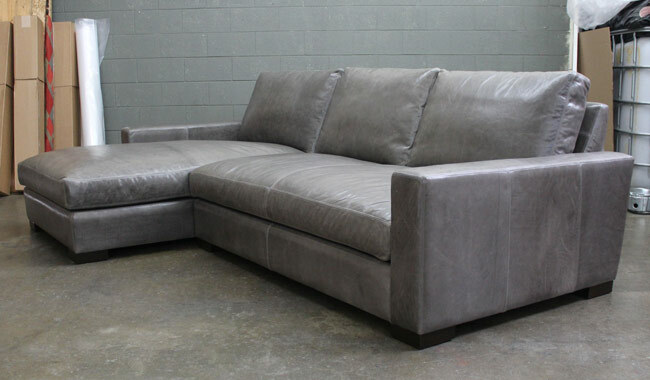 Some areas have thick texture, however this Italian leather is surprisingly soft and will continue to soften with use. 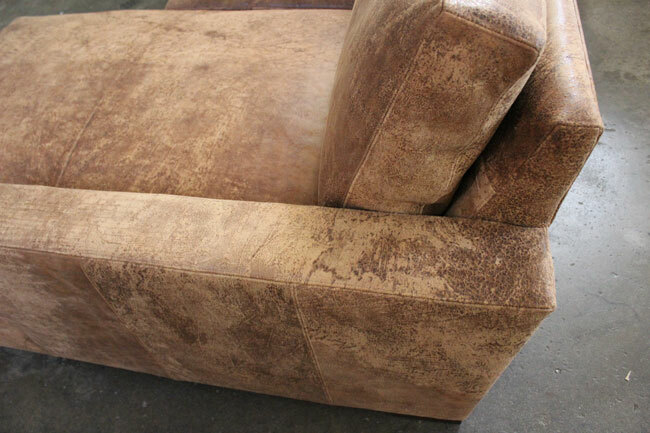 The dramatic effect of this leather is a wonderful departure from leathers finished to look perfect and uniform. This is as genuine and raw as it gets! 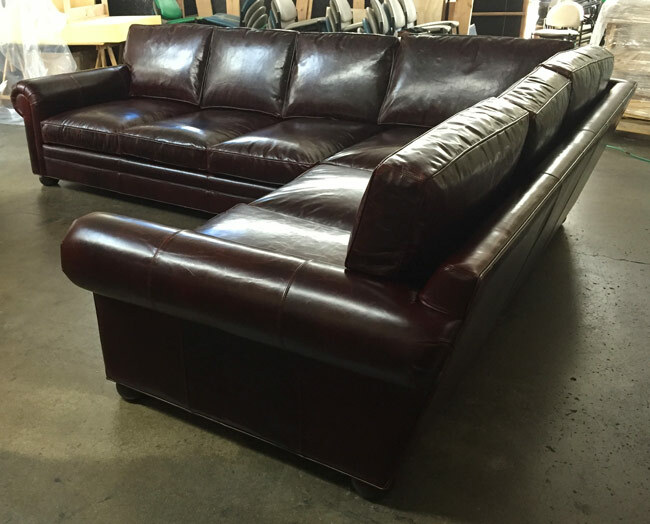 This entry was posted in Braxton, Custom Leather Order Feed and tagged 46" Deep, Bench Cushion, braxton collection, braxton sectional, braxton sofa chaise sectional, Destroyed Leather, Italian Destroyed Leather, maxwell leather collection, maxwell sofa chaise sectional, Ragtime Leather, Ragtime Natural on January 5, 2016 by J Wilkerson. 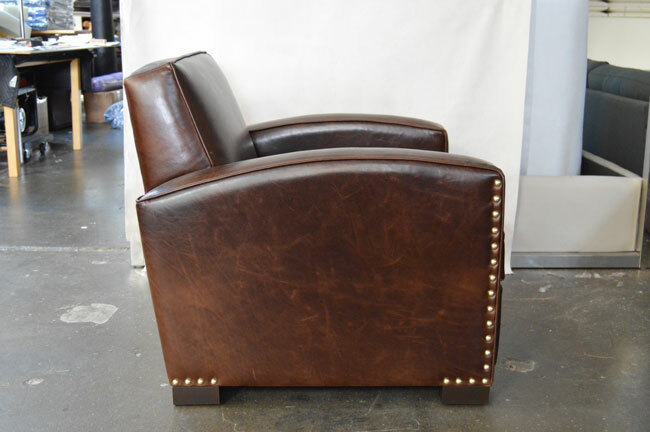 Two of these Atlas Leather Chairs arrived safely at their new home in Westminster Maryland, along with a new 108″ x 46″ Braxton Twin Cushion Leather Sofa. 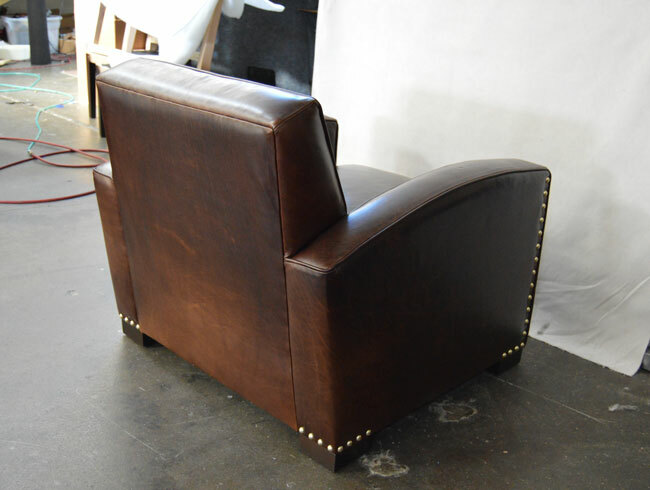 All the pieces were tailored in Italian Brompton Cocoa before nail head trim was hand applied to the two Atlas library chairs. 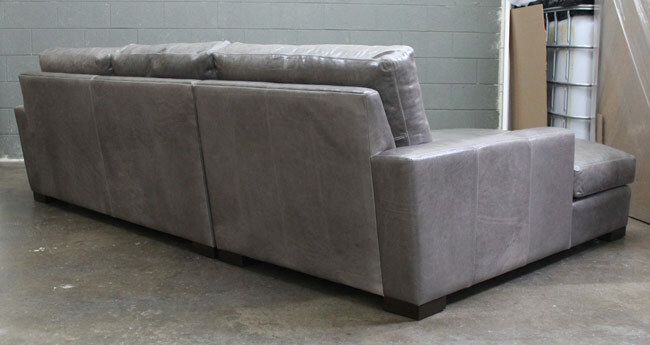 These pieces were made right here in America, using our solid hardwood frames with feather and down cushioning and were delivered to Maryland with our Premium White Glove Delivery. This entry was posted in Braxton, Custom Leather Order Feed and tagged Atlas Leather Chair, Atlas Leather Library Chair, Brompton, Brompton Cocoa, brompton cocoa mocha, Library Leather Chair, Nail Head Trim on January 3, 2016 by J Wilkerson.